From small beginnings, this women’s savings and credit cooperative in Ethiopia has supported over 100 women to become economically independent. and injustice. We have chosen to do this by focusing on the rights of women and girls. In 2017, we launched a new five-year strategy to help us achieve this: Together, with women and girls. The denial of women and girls’ rights is one of the biggest causes of poverty worldwide, and a grave injustice. We’re shifting our focus because no community can truly prosper when half its citizens are denied the rights enjoyed by the other half. Our work will also benefit men and boys living in poverty, but we will put the rights of women and girls at the centre of all that we do. Significantly reduce the risk of violence against women and girls. Fight for women’s equal rights to economic opportunities. Prioritise women and girls’ rights and leadership in humanitarian crises. With the continued support of our supporters, partners and donors, we will bring about transformative change for millions. Mobilising resources. We will raise money through investment, adapting our approach and innovation, to fight poverty and injustice and achieve the rights of women and girls. Influencing for change. We will work alongside women and girls living in poverty to challenge violence and exploitation, fight for women’s equal rights to economic opportunities and support women’s leadership in humanitarian crises. Supporting humanitarian action. We will build our capacity to respond when emergencies strike working with and through local communities, focusing on women’s leadership, and on the specific threats faced by women and girls. 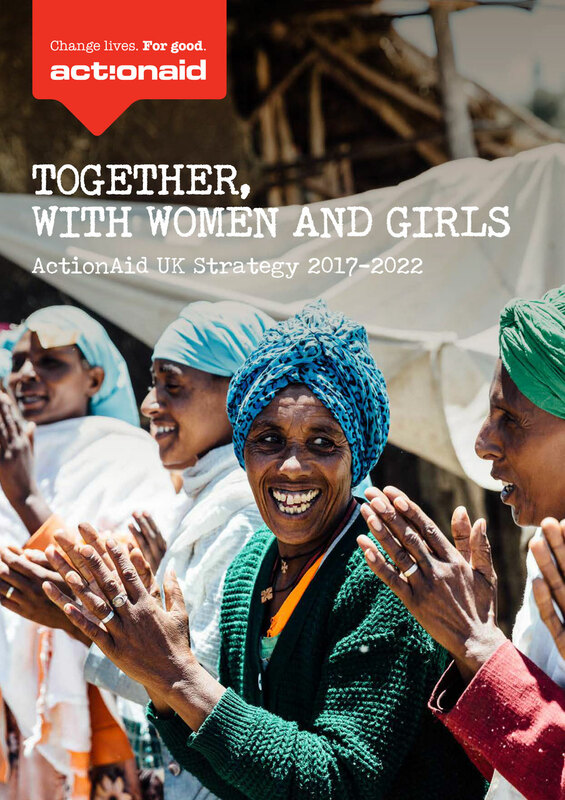 Together, this represents the most effective contribution ActionAid UK can make to the struggle against poverty and injustice, and to the realisation of women and girls’ rights. To find out more, download our strategy below. Survival isn't enough. Achieving lasting change is at the heart of everything we do. ActionAid helps change the lives of the poorest, most disadvantaged women and children in the world. We bring you the stories of the people, projects and communities we work with.